Even though the Goldman-Hodgkin-Katz equation gives a good qualitative fit to the trajectory of the action potential, it fails to provide any insight into the fundamental question of how the presumed switch in permeability takes place. How can a membrane at one instant in time be highly permeable to K+ and a short time thereafter be highly permeable to Na+ ? 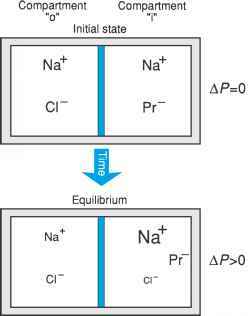 Hodgkin and Huxley proposed that there is a voltage-dependent change in Na+ permeability; Na+ permeability is low at rest, but as the cell is depolarized, Na+ permeability increases (Fig. 9A).